Bauer College’s Wolff Center for Entrepreneurship is No. 2 in Entrepreneur magazine’s list of Top 25 Colleges for Entrepreneurship, ranked by The Princeton Review. 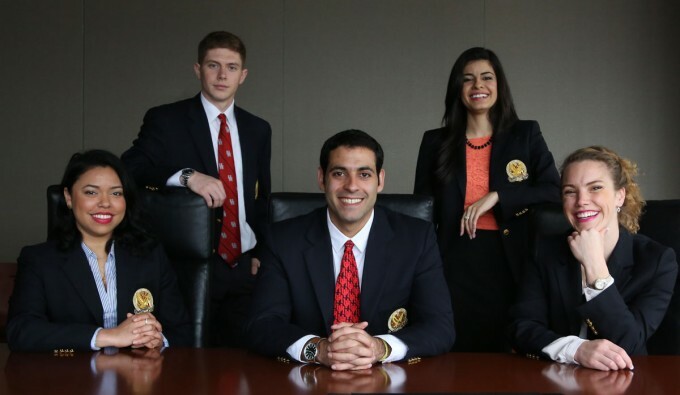 The Cyvia and Melvyn Wolff Center for Entrepreneurship at the University of Houston C. T. Bauer College of Business has been recognized as one of the best nationally for educating entrepreneurs, landing at the No. 2 spot on the list of Top 25 Undergraduate Schools for Entrepreneurs in Entrepreneur magazine, The Princeton Review announced today. This is the eighth year that Bauer College’s entrepreneurship program has been included in the list, ranking No. 1 in 2008, 2010 and 2011, No. 2 in 2007, 2009 and 2013, and No. 3 in 2012. Bauer entrepreneurship students from the Wolff Center claimed five first place finishes and nine podium finishes last year with four different business plan teams. The list, which is an annual feature in Entrepreneur, determines its ranks based on how well colleges demonstrate a commitment to entrepreneurship both inside and outside the classroom. Active involvement among faculty, students, alumni and success in entrepreneurial endeavors are heavily weighted factors. In addition, surveys sent to more than 2,000 institutions requested a breakdown of courses, internships and opportunities to work with students from different disciplines outside of entrepreneurship. “I am pleased to see that our Wolff Center for Entrepreneurship again ranks among the best in the country,” UH President Renu Khator said. “The world-class education program offered by the Wolff Center brings students not only valuable business knowledge and entrepreneurial experience, but also the lessons learned from their successes and failures. In the last several years, Bauer College has extended its entrepreneurial reach across the UH campus and the city of Houston with additional course offerings and events designed to promote entrepreneurship and innovation. Currently, 50 percent of Bauer entrepreneurship students are double majoring in fields including marketing, accounting, management, finance, supply chain management, consumer sciences and merchandising, and electrical engineering. The Wolff Center partners with UH researchers to allow entrepreneurship students to develop business plans to commercialize university intellectual property and showcase their work at national business plan competitions, with an unprecedented season of success in 2014 that saw Bauer teams placing first in the U.S. Department of Energy’s National Clean Energy Business Plan Competition, as well as wins against graduate and Ph.D. teams. In addition to offering competitive enrollment for undergraduates in the Wolff Center for Entrepreneurship to earn a bachelor of business administration, Bauer also offers experiential learning in entrepreneurship for all UH students. One such initiative is RED Labs, a technology startup accelerator for UH that is housed in Bauer College and supported by the Wolff Center. RED Labs provides students access to resources typically unavailable to startup companies in a three-month program, where they connect to mentors and learn best practices for legal issues, fundraising, user experience and business models as they grow their companies. Bauer College bolsters job creation and entrepreneurship in Houston, with the Wolff Center serving as the college’s foundation for academic programming and events surrounding entrepreneurship. Created in 1993, the program began offering Bauer students entrepreneurship as a major in 1995 after approval from the Commission for Higher Education. Since then, the program has flourished and developed courses for entrepreneurship majors as well as business minors and students from all disciplines at UH. The program attracts more than 1,900 students a year. Bauer entrepreneurship faculty have a combined 280 years of experience in business and are themselves experienced entrepreneurs who have landed, bought and successfully run their own ventures. About 52 percent of undergraduate students at Bauer participate in the program, along with students from other majors across the university. The program has also gained respect from members of the Houston community, who mentor students in the program. Last year, 266 mentors worked with WCE, committing their time and expertise to help prepare the college’s entrepreneurship students. Longstanding and highly respected Houstonians Cyvia and Melvyn Wolff became the namesakes of the program in 2008. Melvyn Wolff is a 1953 Bauer graduate, a member of the Bauer College Board and chairman of the board for Star Furniture, a Berkshire-Hathaway company. Students from the program have gone on to start successful companies in a range of industries, including nonprofits, technology, food service and retail. Bauer College offers its entrepreneurship students a complete and comprehensive program that includes a six course, lockstep program as well as several enrichment activities to supplement the academic instruction. Each year, between 30 and 40 students are selected through a rigorous application process to take the Wolff Center’s major program in entrepreneurship. The current class of students represents 36 students, 20 male and 16 female, with ages ranging from 19-30 years and close to 30 percent of students originally born outside of the United States. In addition, the WCE offers a Corporate Entrepreneurship Certificate for non-business students. More than 1,000 non-business students take entrepreneurship courses each year and have an opportunity to see how entrepreneurial thinking can be applied to their interests in engineering, science, social science or the arts. Each year, an average of 65 percent of WCE students started a business while in school or shortly after graduating. Others go on to join existing ventures and to apply the entrepreneurial lessons learned at Bauer to innovate and expand those businesses. Topping this year’s list is Babson College, with Bauer College at No. 2, and Baylor University rounding out the top three. For more information and a complete listing of the schools included on the list, visit www.entrepreneur.com/topcolleges. Full details also appear in the October issue of Entrepreneur available to subscribers today.